Until a few months ago, I had never heard of bath salts. Then, I began using Beeyoutiful’s Eucalyptus Bath Salts. It was wonderful to soak for 20 to 30 minutes in my tub and come out with hydrated, silky soft skin! Plus, I was relaxed, and my body aches were gone so I could fall asleep quickly. For years I had heard of people traveling long distances to go to a hot spring or paying large sums of money to go to a spa, and I couldn’t understand why. I knew that in Hot Springs, Arkansas, people came from all over the world and paid to get into the baths that contained the water from the hot springs. I thought if all they wanted was a hot bath, they could stay home and get into a hot bath. I just didn’t understand the therapeutic value of a mineral bath until I began researching it. While immersed in a warm mineral salt bath, our bodies absorb the minerals and oils that are in the water. The minerals and nutrients go quickly into the blood stream where they can be used by the body. Sea salts and Epsom salts contain many minerals beneficial to the muscles, bones, and circulatory system. I was surprised to find that Dead Sea salts even help with skin conditions like psoriasis. These mineral salts heal and condition the skin, leaving it smooth and moisturized. People from all over the world have traveled to the Dead Sea over the years to bathe in its mineral-rich waters for relief of arthritis, rheumatism, and other health problems. The waters of the Dead Sea are unique, containing 27% of various salts and minerals in comparison to 3% in normal sea water. Sodium comprises eighty percent of normal sea salt, but the highest concentrations of mineral salts in Dead Sea salts are magnesium, potassium, calcium and bromides. Magnesium is important for combating stress and fluid retention, slowing skin aging, and calming the nervous system. Calcium is effective in preventing water retention, increasing circulation, and strengthening bones and nails. Potassium energizes the body, helps balance skin moisture and is a crucial mineral to replenish following intense exercise. Bromides relax the muscles and ease muscle stiffness and tension. Sodium is important for lymphatic fluid balance (this in turn is important for immune system function). Epsom salts are named for the mineral rich water of Epsom, England. The village of Epsom was 17th century England’s first spa town because of the marvelous magnesium-rich water in its wells. The village was well known and people came to use the water externally and internally, for its great health benefits. Epsom salt (magnesium sulfate) is one of the most effective means getting the magnesium our bodies need. Researchers and physicians report that raising your magnesium levels may improve heart and circulatory health-reducing irregular heartbeats, preventing hardening of the arteries, reducing blood clots and lowering blood pressure. Also, magnesium is necessary for the body to bind adequate amounts of serotonin, a mood-elevating chemical within the brain that creates a feeling of well being and relaxation. Epsom salts improve the body’s ability to use insulin, reducing the incidence or severity of diabetes. It also delivers sulfates, which are extremely difficult to get through food, but which are readily absorbed through the skin. Medical research indicates sulfates are needed for the formation of brain tissue, joint proteins and mucin proteins that line the walls of the digestive tract. Sulfates also stimulate the pancreas to generate digestive enzymes and help to detoxify the body’s residue of medicines, heavy metals, and environmental contaminants. It’s no wonder that my skin feels so soft, silky and hydrated after a hot bath to which I have added 3 to 4 tablespoons of Beeyoutiful’s Eucalyptus Bath Salts. My research shows that the jojoba oil, grape seed oil, and olive oil, in combination with the Dead Sea salts, provide exceptional skin conditioning and moisturizing. Natural jojoba oil is an excellent moisturizing agent, which leaves a rich, velvety, non-oily feel to the skin while retarding water loss and enhancing the flexibility and suppleness of the skin. Because it is rapidly absorbed, the pores and hair follicles remain open and thus maintain their proper functioning. In addition to relieving dry, itchy, flaky skin, jojoba oil effectively treats rashes, sores, cuts, bruises, burns, sunburns, acne, psoriasis, and eczema. It may also reduce wrinkles and stretch marks and lighten and help heal scars. It even has some anti-bacterial and anti-inflammatory qualities. Grape seed oil has emollient properties that impart a rich, silky luster to the skin while soothing skin irritation. This oil has mild astringent properties and possesses regenerative and restructuring qualities for better control of skin moisturization. Grape seed oil is also noted to be e?ective for reducing stretch marks. The moisturizing and skin softening benefits of pure virgin olive oil have long been known. For centuries Mediterranean beauties have relied on it to help maintain fresh, dewy complexions and lustrous hair. The final benefit of Beeyoutiful’s Eucalyptus Bath Salts is the eucalyptus oil. 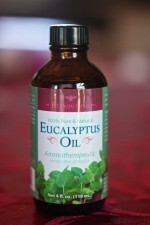 It is great for helping to open study heads and noses due to allergies or colds. When I take a hot bath with these salts added, it’s like using a vaporizer. My nose opens up, and if I have a sinus headache, it goes away.